iCloud automatically backs up all of the data on your iPhone, iPod touch, and iPad. So, if you lost data on your ios device, you can easily get back the lost data from iCloud backup. 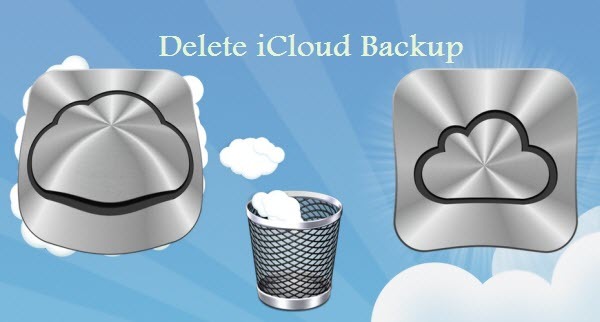 Unfortunately, iCloud backup is so automatically that it can quickly use up the 5GB Apple gives you for free. You can free up iCloud storage space by deleting the iCloud backup for an iOS device. If you’re restoring a device from an iCloud backup, you must wait until the restore operation is finished before you can delete the backup. WARNING: If you delete the iCloud backup for your iOS device, iCloud stops automatically backing up the device. 1.Go to Settings > iCloud > Storage & Backup > Manage Storage. 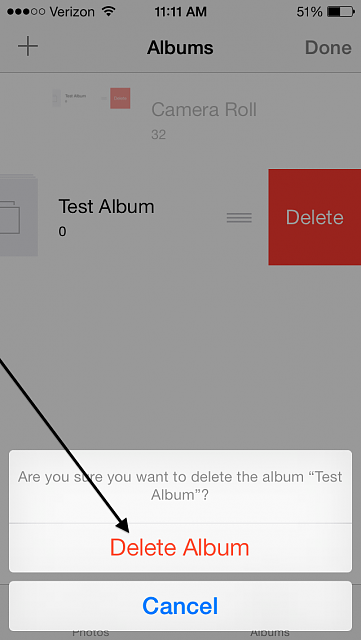 2.Tap the name of an iOS device whose backup you don’t need, then tap Delete Backup. 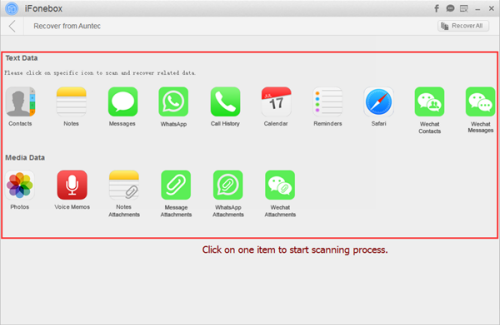 1.On Mac, choose Apple menu > System Preferences > iCloud > Manage. 2.Click Backups on the left, select an iOS device on the right whose backup you don’t need, then click Delete. 1. Open the iCloud Control Panel, then click Manage. 2. Click Backups on the left, select an iOS device on the right whose backup you don’t need, then click Delete. Notes: If you don’t see Backups on the left, your iOS devices don’t have iCloud backups. What time is it? If you check your watch, you may find that it’s a text message past a Twitter notification but if you check the zeitgeist, you’ll find that it’s wearable tech time.that’s smartwatch. Samsung, Sony and Pebble are already making waves in the smartwatch space, and soon enough it could be Apple’s turn to release the iWatch. 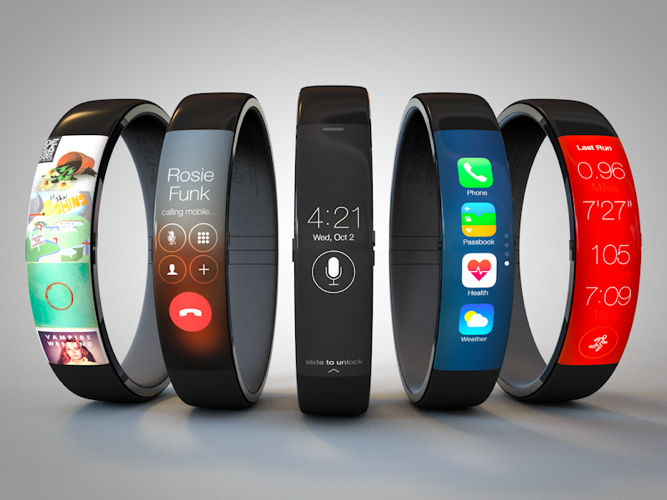 iWatch is the name colloquially assigned to Apple’s unannounced, still in-development wearable computing device. If Apple does go with the name iWatch, the device itself will probably only be a watch to the extent the iPhone is a phone — it’ll have a clock button on it. Other rumored functionality include extensive health and fitness functionality, potentially including blood sugar, hydration, heart-rate, and other monitors built in, as well as integration with a rumored iOS 8 app called Healthbook running on iPhone 6 and similar hardware. Notification and Control Center integration is also possible, with a low-energy Bluetooth 4.0 connection serving as the relay. 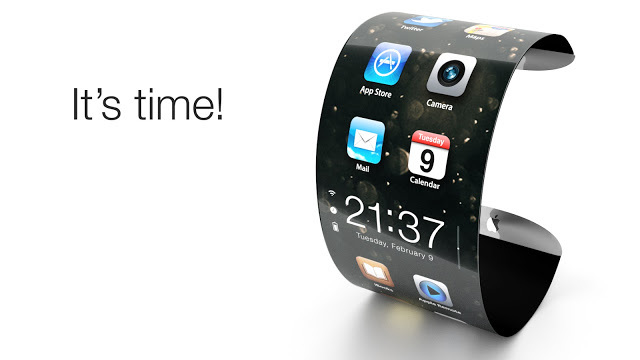 No one knows the specific release date of iWatch, nothing is official until Apple announces it up on the keynote stage. Despite early reports of a 2013 target date and even reports of early production runs, the reliable KGI Securities analyst Ming-Chi Kuo has suggested that Apple’s smart watch project was not as far along as previously believed, with Kuo indicating that a late 2014 launch would be more likely. This later target date is also corroborated by sources of the Financial Times as well as supply chain sources, all of which are pointing to late next year as more likely. Quanta has been rumored to be lined up to begin production of the iWatch in the second quarter of 2014, which would line up with a public launch later in the year. Remember before the iPad launched and everyone thought it’d be $1,000? Oh, how we laugh about that now. Clearly, though, until we have a better idea of what the Apple Watch is and whether Apple is actually going to ship it, nobody has the faintest idea what it’ll cost. Nobody but one anonymous analyst who had a stab at pricing and reckons somewhere between $149 and $229 seems likely. 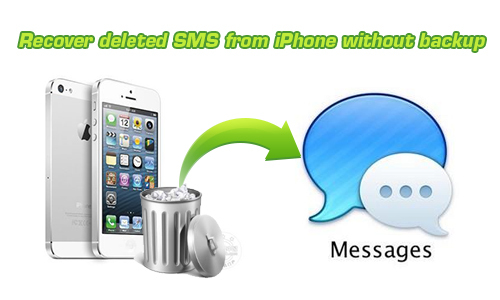 How to get back iPhone deleted SMS message? DFU is an acronym for Device Firmware Update. 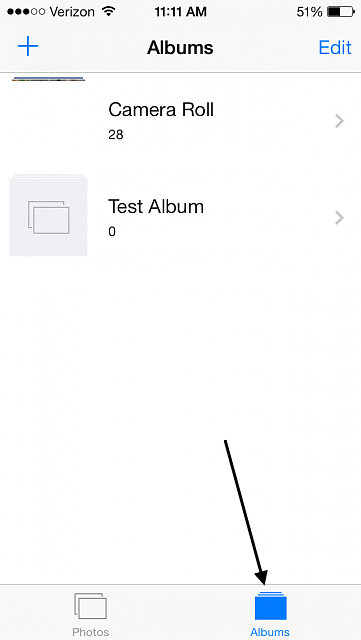 DFU mode is a state that you can put your iPhone into where it can interface with iTunes but does not load the iPhone operating system or boot loader (this is what really differs DFU mode from recovery mode). 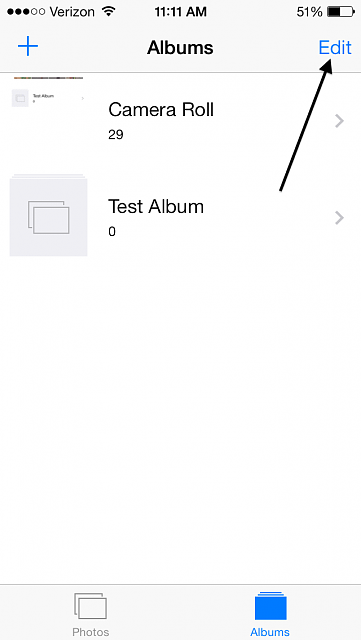 How to enter iPhone DFU mode? Continue to hold down the Home button until a message appears in iTunes telling you an iPhone in recover mode has been detected by iTunes. DFU mode is signified by having a completely black screen on the device. If anything else is the case, repeat the steps above until you enter into DFU mode successfully. Here is a link to video that explains the entire process: How to enter DFU mode ? 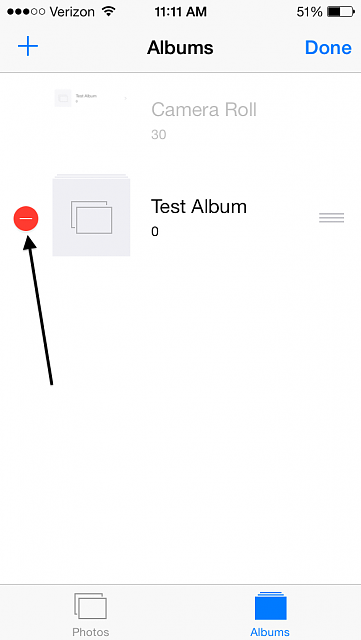 To exit DFU mode, simply hold down the sleep / power button and the home button together until your iPhone disappears from the device list in iTunes, then turn on the iPhone as normal. 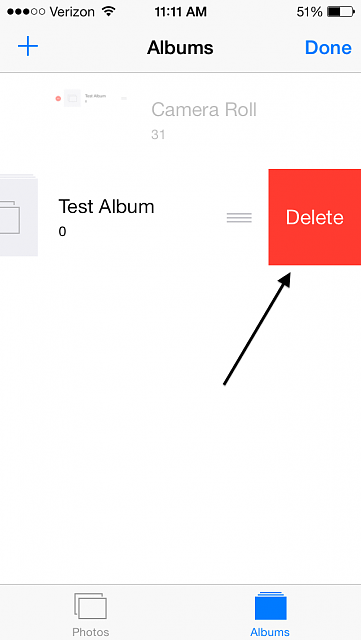 Can’t Delete Photos from iPad Photo album? Why? 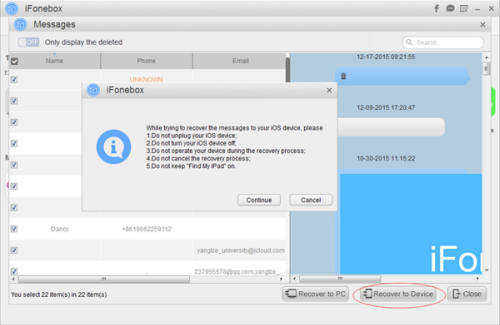 How to recover lost contacts from iPhone4s/5/5s/5c? 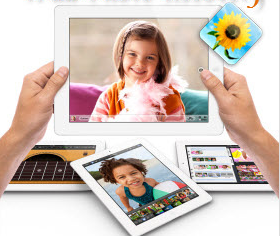 “My problem is I’m not able to delete photos on my iPad which I just recently sync from iTunes. They just don’t have the delete option, I wanted to know why these photos can’t be deleted and how to delete them? You can’t do it because the whole point of syncing is to have a mirror of the original folders from your computer. If you could delete them then either a) they would get added back during the next sync, or b) they would be deleted from your computer during the next sync. Either way would likely get users mad. To un-sync, plug in your iPad. In iTunes, click your iPad name in the left hand bar (if you don’t have it showing click View/Show Sidebar). You will now see the summary page for your iPad. Across the top of the main iTunes window, look for the Photos tab. Click it. Deselect whatever you don’t want to be synced and then sync again. Those folders will be removed. Before I jailbroke my iPhone, it was a rare occurrence for my phone to lock up completely, or to take more than a second or two to process a command. Now, if I tap buttons too quickly in combination with a home button press or SBsettings command, my phone is liable to freeze and require a soft reset to cure it. General stability is noticeably impacted by jailbreaking. The more tweaks and modifications you install, the longer it may take to switch apps or even launch apps like Messages or Camera. 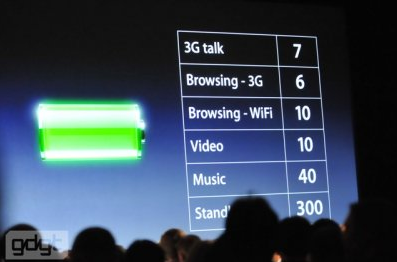 An iPhone’s battery life is precious enough as is. When you jailbreak your iPhone, you’ll instantly have access to thousands of tweaks, apps, and modifications that you wouldn’t otherwise be able to use. This means you can force your phone to do things in the background that it wouldn’t ordinarily do, like send recently played song titles to Last.fm as you listen to them with Scrobbl. Or, you can enable your phone to send GPS-location updates in the background, which could eat up battery. So, this point is really about the user’s temptation to add functionality that can eat away at battery life. Jailbreaking in itself does not kill battery life, but it’s easy to get swept away installing dozens of tweaks and apps that use up more RAM and processing power, hitting your battery negatively. When you jailbreak your iPhone, it voids your warranty from Apple.Apple has no way to know your iPhone is jailbroken if you restore it to factory settings before you take it in, but what if you can’t even restore it using iTunes? What if your phone is “bricked” and unusable? If you bring in a jailbroken to an Apple Store for help or maintenance, the generally kind Geniuses will probably refuse providing service to your iPhone. Sometimes apps that you bought from the App Store act strange, or try and prevent you from using them. All of a sudden the other day, Skype popped up an error message saying it won’t run on modified devices. But then the error message went away and the app acted normally. There’s a committed community of developers and jailbreakers who diligently issue fixes for these kinds of things (push notifications used to be broken when you’d jailbreak a couple years ago), but it can be a hassle to search for solutions. The first thing to do when you jailbreak your iPhone is to change your root password, but many users forget. If you don’t change your root password, just about anyone can access your iPhone when it’s connected to the internet or to a coffee shop Wi-Fi network. Also, if you add sources to Cydia beyond the default sources, you never know what you’ll run into. Whether it’s malware infected software or old software that crashes your phone, you have to be careful. 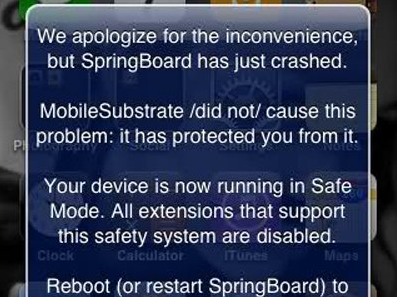 There’s always a risk of downloading something harmful since it’s so fun and easy to download things in jailbreak app store Cydia. Solution: How to Jailbreak Your iPhone 5S/5C/5? If you’ve never tried to jailbreak your iPhone or iPad, then there’s a whole world of tweaks and add-ons that await you. Despite misinformed accounts, jailbreaking will not void your warranty and it’s simple to uninstall a jailbreak too – you just restore your device in iTunes. 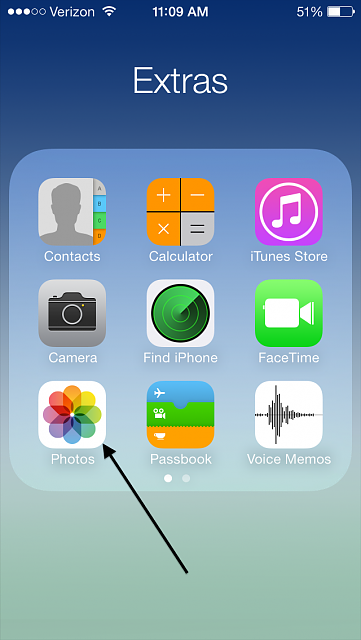 You can also access iTunes, the App Store and all your apps and backups like normal. Why jailbreak your iPhone 5S when it is the closest thing to a perfect device? 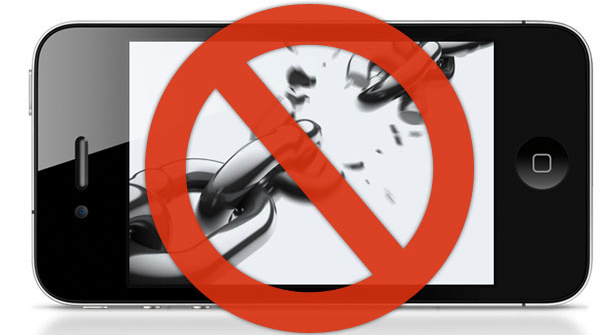 The restrictions of Apple are few of the reasons many people are performing this process. With this process, you can customize your device and install apps and features that the manufacturer does not normally allow. 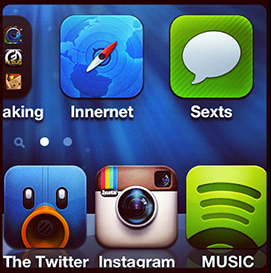 Other reasons many people are opting for it is that they can easily get rid of built-in apps. In normal situation, you cannot do this. All built-in apps will stay there as long as your device lives. 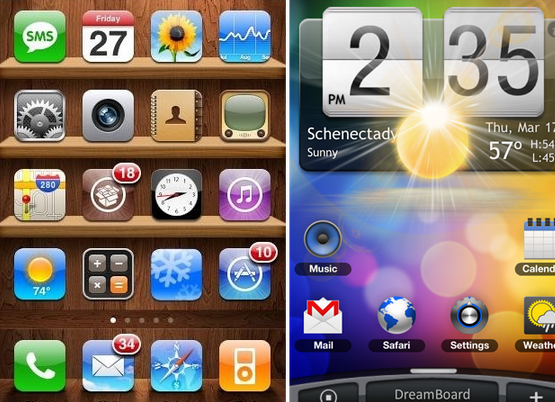 But with the enhancement provided by the jailbreak, you can free your device from those apps that you do not like to use. You’ll also be able to use another browser, like Chrome. 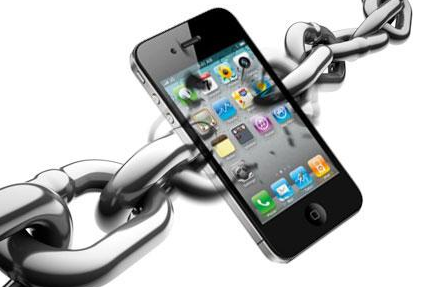 How to Jailbreak Your iPhone 5S/5C/5 ? iJailbreak Pro is actually relatively new to me however The jailbreak itself takes about 5 minutes to complete, with the jailbreak, you also get your iPhone unlocked. This means that you can use your iPhone 5 series on any network which you have access to. Unlocking and jailbreaking iPhone 5 often get mixed up with one another however they both have something in common and that is that they shouldn’t be attempted without professional help so getting this service included is a real bonus. This site is also good. Usually it takes about 10 minute to complete the jailbreak process. 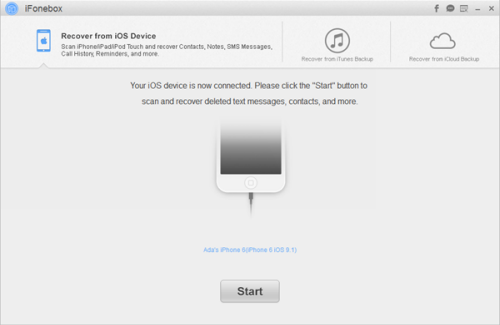 Apple Unlocker Guarantes that their system will unlock any iPhone model and firmware upgrade. Everyone can try their system 100% risk free and be sure that your sim card will work in all countries worldwide. The issue with this site was customer support, or really, lack thereof. you had to email them because they don’t have a phone number listed anywhere on their site. iJailbreak Tool support Free 24 hour Technical Support , but Their customer service team could use a real revamp. It is all very well being based on India however if you are trying to appeal to English speaking customers then you need to make sure that your staff speak fluent English. When you call them however communication is a problem and they take a while to respond to emails and you can tell that they haven’t been written by a native English speaker. Jailbreaking iPhone is risky, if you are going to Jailbreak your iPhone please choose a suitable Jailbreak software according to your own needs. 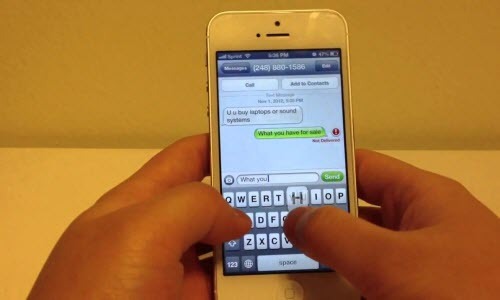 How to recover iPhone lost call history? 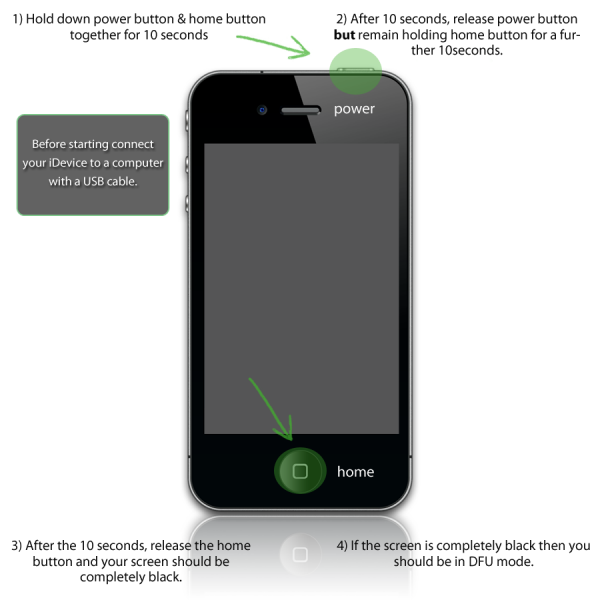 Following are several good ways to Restart your iPhone when power button doesn’t work. 1. You can let your battery run all the way down, your iPhone will turn OFF and then you charge it back up, it will turn ON in less than 4 minutes. You should be doing this once to a couple times per month for best battery performance anyway, according to the most experienced iPhone users. 2. You can squeeze (pinch) the Power Button top corner front glass to the back case while pushing the Power Button and the Power Button will usually function. 3. Settings App>General>Reset near bottom>Reset Network Settings. This will restart your iPhone, and I believe this will function fairly close to or exactly like a Hard Reset. Nothing will change on your iPhone. 4. Settings App>General>Reset near bottom>Reset All Settings. This will restart your iPhone, it will not delete anything, but it will reorganize things like Apps. I do not like using this feature myself.